Out of all of the heating and air companies near me that you can choose from, we believe you’ll choose the A+ Better Business Bureau rated experts from DC / AC Air Conditioning and Heating every time you hope to find heating and AC repair near me. We strive for 100 percent satisfaction with every service we provide. We also adhere to tenets like professionalism, integrity, fair pricing and a passion for providing the excellent service that you can depend on to be a complete solution. When you search for AC companies near me, you hope to find someone who can do a myriad of essential tasks to keep your system running in top-notch condition. Through the pros from DC / AC Air Conditioning and Heating, you’ve found your solution. A quick phone call or a few clicks on the website bring trusted heating and air conditioning contractors near me straight to your door. We don’t waste any time when it comes to restoring your comfort. If your technician tells you that you need a new system, we believe you’ll be pleasantly surprised by all the new advances in the latest systems. Today’s AC and heating systems are more eco-friendly, energy-efficient and more cost-efficient than ever before. They run more quietly and chances are that you’ll save money on your energy bills. What’s not to love about that? Your specialist in heating and air conditioning near me will fill you in on interesting facets of your new system like its energy star ratings and the most optimal way to use your new system. We can also help you to fill out any necessary paperwork for a rebate if the system you choose features a rebate. Your installation will be done to your complete satisfaction and its nuances will be explained to you. We know you’ll be happy with the licensed and insured AC repair Orlando trusts for excellence. The affordable AC repair near me that you need comes directly from DC / AC Air and Heat. 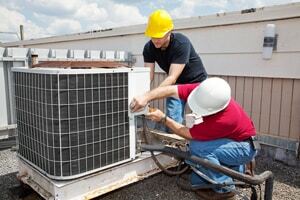 Among local heating and cooling companies, DC / AC Air Conditioning and Heating stands apart. We know how important it is to you to be able to get the local heating and air conditioning service you want and need at prices you can afford. We deliver competitively priced service so you never have to question whether you’re getting the best deal available. Getting local heating and air conditioning repair is your smart solution. Once your service is complete, we can set up a schedule to return periodically to check your AC and heating system for any new developments. You won’t get the cookie cutter, one-size-fits-all service that you would from a national chain AC repair services provider. 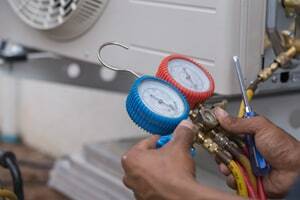 Service from air conditioning contractors near me and from local air conditioning companies are your best bet for the most trustworthy and comprehensive service. The level of refrigerant will be checked by your professional HVAC technician near me so the optimum operating performance can be maintained. A fully licensed and insured provider of comprehensive heating and cooling repair from DC / AC Air Conditioning and Heating is happy to come out to do your system tune ups to keep your system running its best. This is a critical service that our customers have depended on us to supply for over 25 years. Keeping your system running in top-notch order is your priority and ours as well. We take pride in hiring and keeping only the best technicians so the air conditioning repair near me that you receive stays top-notch and trustworthy. When you search for the best HVAC companies near me, we want our name to come out on top. We strive to provide only the best air conditioning service and furnace repair service you can find in the greater Orlando and Central Florida area. You may have wondered if furnace repair in my area is even necessary, and the answer in the Orlando area is a resounding yes. Since temperatures in Orlando in January can fall to lows of about 45 degrees Fahrenheit, you’ll need a well working furnace and air conditioner system. Among furnace contractors near me, you’ll find that DC / AC Air and Heat is well respected and trusted among furnace companies near me. This furnace service near me knows what it’s like to have a malfunctioning furnace and to feel the chill of January winds making their way into your indoor space. You need to have the phone number of a good furnace repair company on speed dial for these colder months and for unexpected cold spells. The best furnace repair near me that you’ll find in the Orlando area comes straight to you from expertly trained specialists from DC / AC Air and Heat. Once the temperatures plunge and you begin to shiver, you’ll be glad to have expert furnace repair near my location to rely on to warm you up again. Finding professional heating and cooling in my area is easy when you look to the pros from DC / AC Air Conditioning and Heating. 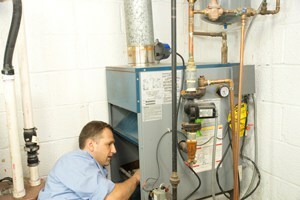 Both heating and cooling services are specialties that we’re happy to offer to our neighbors. 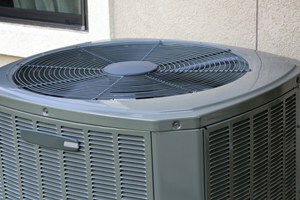 Finding highly qualified air condition repair near me or air conditioning service near me doesn’t need to be difficult. You can do a simple Internet search, or even better, ask for recommendations from friends, family and co-workers. 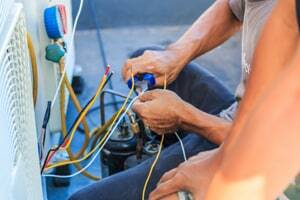 Chances are that in the Orlando area, the name of DC / AC Air Conditioning and Heating will come up towards the top of any search list for expert heating and AC repair. Air conditioning companies near me are readily found with a bit of persistence and with well worded inquiries about local HVAC repair. When your home air conditioner fails or is not working as well as it should be, you need home air conditioner repair near me that can come out quickly to resolve the issues. 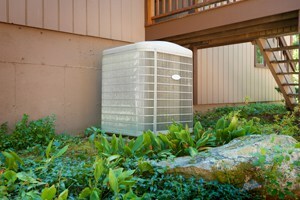 Getting local AC repair near me is always preferential over finding service from a large chain company. The trusted home AC repair near me that will most likely come up in your search in the Orlando area comes from DC / AC Air Conditioning and Heating. 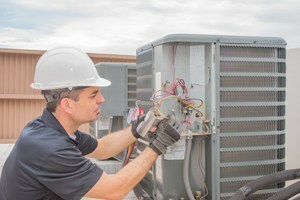 If your commercial AC system fails, it’s easy to find commercial HVAC repair near me from DC / AC Air and Heat that will restore your AC system to top-notch working order. Specialists will quickly have your system back up and running and your business won’t miss a step in its day-to-day operations. When unexpected events like AC failure happen, it’s good to know you’ve got HVAC contractors near me that are dependable, reliable and trustworthy and that the work will be done right every time. For your Orlando area home heating and cooling needs and for commercial HVAC service near me, you’ll never go wrong when you contact the pros from DC / AC Air Conditioning and Heating. We’re locally owned and operated to supply all HVAC repair near me professionally and reliably. When you tailor your search to terms like best HVAC repair near me, our name consistently comes out near or at the top. We’ve proudly supplied expert central air conditioning repair and total heating and air conditioning service for over 25 years. We were chosen as a winner in the 2017 Orlando Sentinel Best Bets in 2017 for Best AC Company. We are the supplier of the best air conditioner service near me. One look at our testimonials from satisfied customers will convince you of that fact. We also strive to keep our stellar reputation as an A+ accredited company with the Better Business Bureau. Our unmatched attention to detail and devotion to excellence consistently keeps us at the top of our profession. Keeping your AC unit as clean and well maintained as possible will help to extend the life of your unit and help to save you money in the long term. Experts in home air conditioning service near me and your expert providers of commercial AC service are your partners in preserving the integrity of your AC system and keeping it running well. You’ll love having an efficiently running AC system when the temperatures get hot and high humidity makes your environment feel sticky and uncomfortable. 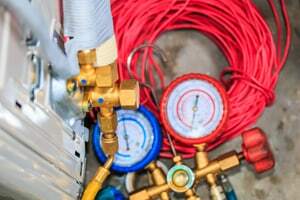 The one thing that you’ll never want to skimp on when you’re running a business is your heating and air conditioning system. Experts in heating & air conditioning repair and maintenance are your partners in protecting your valuable investment and increasing the comfort and productivity of all of your employees. 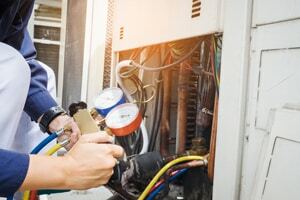 The smartest way to protect your most valuable investments, your commercial business and your HVAC equipment, is to find expert AC service from professional heating and air conditioning companies near me. You’ll be happy that you’ve found the expert heating & cooling service from DC / AC Air Conditioning and Heating. Out of all the HVAC companies near me in the Orlando area, DC / AC Air and Heat continues to be the one called upon and relied on most often to give you excellent, prompt and reliable service. We are the HVAC installers near me that you can trust for expertise and exceptional service when you need to have a new system installed and the best choice in HVAC repair companies when you simply need expert repairs and outstanding service. We continually strive to see that your home or place of business stays a comfortable and nice place to be. This means providing expert home AC service near me and commercial AC service that keeps your HVAC system in top working order. We share the same goal with you of keeping your environment at exactly the right temperature for maximum comfort. We want you to enjoy being in your home and working in a consistently pleasant environment. The highest accolades we can ever receive come from the people who know our work best, our satisfied residential and commercial AC repair, service and maintenance customers. We are honored when excellent feedback is left for DC / AC Air Conditioning and Heating and we look forward to hearing your thoughts. We are even more honored when our customers love our professionalism and our pride in our work enough to recommend us to their friends, loved ones and co-workers. We take pride in excellence and believe that it shows in everything we do.